With summer approaching, what could be better than having a sizzlin’ hair cut by a sizzlin’ stylist? And by “sizzlin’” we mean hot! Here at Hair Mechanix, we specialize in trendy, hot men’s hair cuts, but there’s a twist! The face behind each masterpiece are women stylists, creating a haircut we guarantee you’ll love! 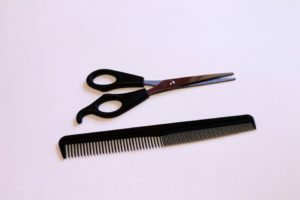 Each stylist at Hair Mechanix – all five locations (Westland, Livonia, Waterford, Southgate, and Auburn Hills), are professionals, offering beard trimmings, various haircuts, waxing, and so much more. At Hair Mechanix, our stylists focus on making you look better. During your experience at Hair MX, we want you to feel as comfortable as possible. Each location is decorated with all the things that men love: wall art of fast cars and hot women! You are truly surrounded in a relaxing atmosphere. We also have multiple televisions, where you can catch up on your favorite sports team and our music is to die for! All of our stylists know about the latest win and are enthusiastic about their job. What could possibly get better than this? Hair Mechanix is growing rapidly, but our quality is exceptional. Targeting men, we would like to provide you the best hair experience ever. To experience this today, please contact us for an appointment at one of our local Hair Mechanix locations. You are our the #1 priority of our sizzlin’ stylists at Hair Mechanix!